Evil is afoot. The bad guys are getting stuff together to raise a creature that will end the world, that is unless Skulduggery Pleasant , his side-kick Valkyrie Cain and their various colleagues can stop them. 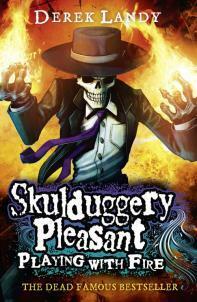 This is the second of the Skulduggery Pleasant series. I enjoyed the first one, but have been glad to move away from the whole origin story and get into the world that they inhabited. Valkyrie has got a lot to learn, but she has a pretty good grip on things. The books is funny with a ton of action and is really worth enjoying.